​Another chapter has been added to Conecuh’s already unenviable criminal record, and another good citizen’s life has gone out at the hands of a heartless assassin,” mourned a front-page article in the Evergreen Courier on July 13, 1910. Not long ago, the once-grand home Dr. John R. Drish built in Tuscaloosa was in imminent danger. Long vacant, the place was home to assorted varmints, a favorite haunt of the homeless, a target of condemnation by the city, and an eyesore to many locals. Today, thanks to the generosity of the Southside Baptist Church and the foresight of the Tuscaloosa County Preservation Society, preservationists are breathing new life into the historic structure, and its future looks promising. Thanks to a big decision made by a small but committed group of state historians decades ago, a drive down an Alabama highway has become an education in our past. 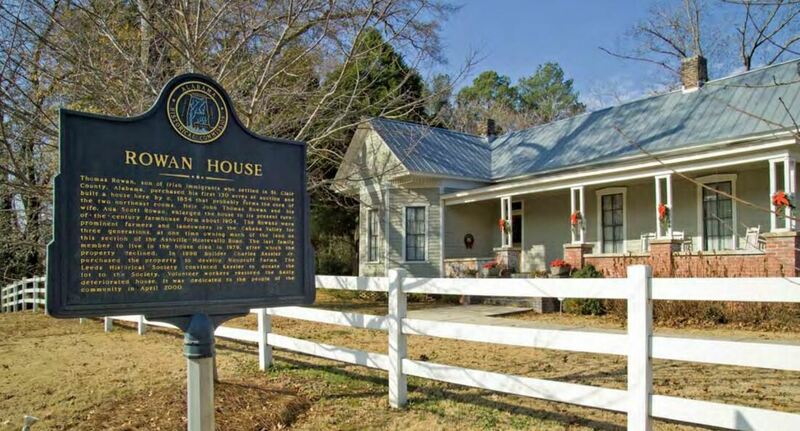 At its first meeting in 1948, the Alabama Historical Association (AHA) embarked on a plan to commemorate historic sites in the state with roadside markers. Today, a sign labeled “Ellicott’s Stone” on Highway 43 north of Mobile marks the path to the stone laid by surveyor Andrew Ellicott in 1799 to identify the U.S. border with Spain. In downtown Huntsville, a marker at the site of “The Big Spring” tells the story of the city’s birth. Every year there are new treats for the traveler. After sixty years and some seven hundred historical markers, this program continues to be a vital part of the AHA’s efforts to promote interest in and the study of Alabama’s past.